Taking note of media reports on the increasing incidence of the flu, Rao rang up Prime Minister Narendra Modi and also spoke with Union Health Minister JP Nadda. 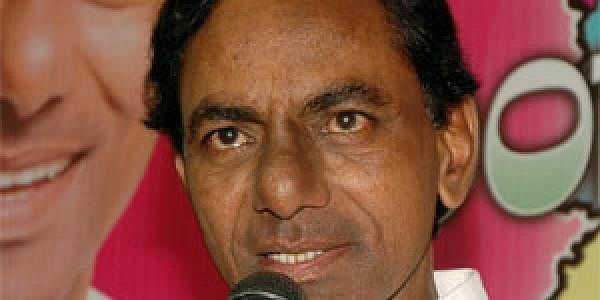 HYDERABAD: With swine flu assuming alarming proportions, Chief Minister K Chandrasekhar Rao swung into action Wednesday and sought Central assistance to prevent further spread of the dreaded virus even while assuring the people that there was absolutely no need for panic. Taking note of media reports on the increasing incidence of the flu, Rao rang up Prime Minister Narendra Modi and also spoke with Union Health Minister JP Nadda. The Prime Minister responded positively and rushed a three-member expert team to Hyderabad to assess the situation in the State and guide the State government. The Chief Minister, who held a series of meetings with health department officials, representatives of corporate hospitals throughout the day and also chaired an emergency Cabinet meeting, said he had urged the Centre to send medical teams and requisite medicines to the state. Briefing the media, Rao appealed to the people not to get panicky and asserted the situation was well under control. “I thank Modi for his swift response. There is no need for people to press the panic button. Swine flu is not an epidemic. At present, there are only 20-30 cases of swine flu and only 19 deaths have been reported so far in the state,” he said and advised people to strictly follow personal hygiene, which he pointed out, will prevent the spread of swine flu. He also advised the people to rush to the nearest government or private hospital, if they have symptoms of the flu. “We are arranging clean rooms (separate wards) for swine flu patients in all the districts. When a swine flu case is reported in a particular area, the GHMC staff will rush there and sterilise the area,” Rao explained.